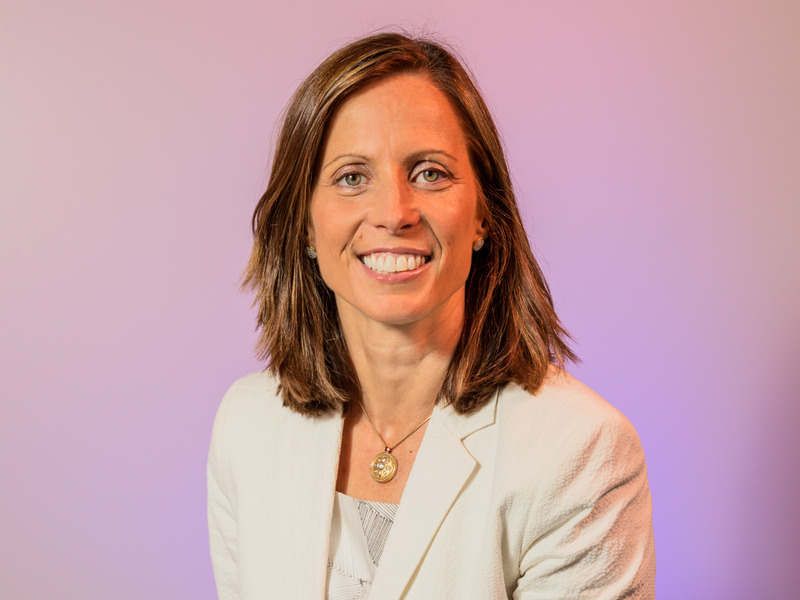 Hollis Johnson/Business InsiderAdena Friedman doesn’t want the constraining label of ‘female CEO’ but also recognised its power to influence women into leadership roles at her company. She said approaching every day like it’s her first on the job is the key to avoiding complacency. Adena Friedman has the top job at Nasdaq, the world’s second largest stock exchange. She joined the company in 1993 as an intern, and she’s worked there for all but three years of her professional career. When Friedman became the first female CEO of a global stock exchange, she got tired of being asked about her gender in interviews. But then she realised she could leverage it at Nasdaq by helping other women make it into the C-suite. It’s how her mum inspired her in the first place. 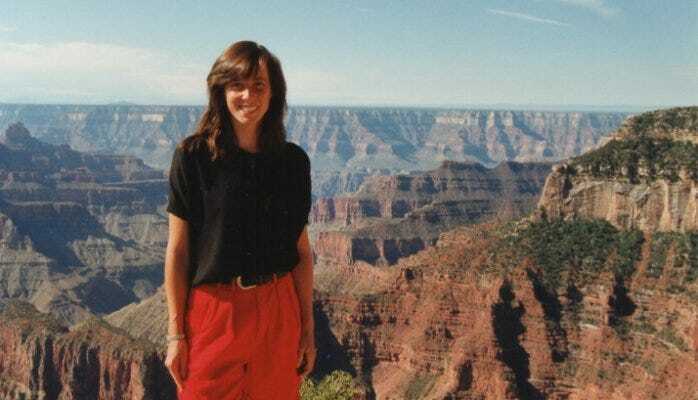 Adena Friedman: My mum really has been my hero because she grew up in a world where being a stay-at-home mum was very much the path of choice. And she was a stay-at-home mum, and she was awesome at it. But when I was 9, she realised that she really wanted to have a career of her own, and she had a real desire to become a lawyer. Her dad was a lawyer, and I think she really had great respect for what he did. And so she went back to law school and then became an estates-and-trusts lawyer, and then became the first woman partner in her firm. And just watching her progress and really transform her own life into something that was just so meaningful for her was really, really important for me to see, and I think that’s why she became a hero. Friedman: She was amazing, because she still was there to make dinner most nights – although my dad did start making dinner a couple nights a week, which was really cool too. He really changed some of his work habits so that he could be around. Feloni: So you’d be a kid talking about finance stuff? Friedman: Well, I was very curious about what he did, and so understanding how he looked at fundamentals, how he would make investment decisions, what was important to him, why was he going to China in the ’80s – he travelled all over the world – so what was he learning? What was he trying to understand? He would read every paper, so what was he trying to get out of the papers? Those are the kinds of questions that I would ask as I got older and had a better understanding of what he did. And I think that having that and understanding it, at least at a surface level, made it so it wasn’t this big mystery. It was something I could understand. And even though when I was growing up I wanted to be an astronaut and I wanted to go into international relations and other things, by the time I had matured into saying, “Well, what is it that I really find interesting?” finance really was at the top of my list. Friedman: Yeah. So I had grown up in Baltimore, and DC was always the big city down the street and always to me was the center of power, and you could feel it. You’d go there, and you’d just feel these in the history of the country. You’d feel the power structure that was there. And so I kind of really thought that was where I wanted to go. So I went onto the Hill, and I had a great experience working for a congressman and then a senator, and it was great. But at the end of the day I realised that I wanted to be in a place where I could have more immediate impact, and so business was ultimately the perfect choice. Feloni: At the commencement speech that you gave last year at your alma mater, Vanderbilt’s business school, you told the story about how when you were 28 you took on a project that basically changed how you started your career. Could you explain what that was? Adena Friedman/LinkedInFriedman at age 22, around the time she was at Vanderbilt’s business school. Feloni: Was this a project that was, like, more senior leaders wouldn’t want to touch it? They’re like, oh, just give it to you because you were younger? Friedman: Yeah. I mean, it was very much kind of an ancillary product. It wasn’t central to trading. And they kind of said, “Well, she’s a young person – let’s try to see what she can do with it,” essentially. And they did give me complete autonomy to do with it what I could. The most important thing was to find a technology team. And there was a gentleman in the technology organisation who I really came to respect and admire, and he said, “If you give me enough time and money, I can do anything for you.” And then once I kind of proved myself that I wasn’t just this 28-year-old person who didn’t know what she was doing, that I was actually someone who could really help him get the resources he needed, we actually formed a great partnership. Friedman: Right. I mean, even though it’s, like, this product that no one really thought much about, it was an opportunity for me to have a lot more autonomy by taking something that people didn’t care as much about it. It actually makes it so you can have a lot more impact on it and you can have a lot more autonomy. The second thing is: find those people who are going to help you. Don’t assume you’re going to do it yourself. You have to have those people, those experts around you who are better at their jobs than you are, to help you find success. Feloni: There’s a profile of you in Vanderbilt magazine, and they interviewed some of your former classmates, and they basically described you as kind of being very confident and intense without being ruthless or aggressive. How do you see yourself? Friedman: I thought that was actually interesting, because I thought it was very … I was just interested in reading what they had to say than anyone else. I think that the one thing that I learned early in my time at Vanderbilt was I always chose to be the editor of any group project. So that was the one thing that they probably saw, which was anytime I was in a group, I said, “I’ll be the editor,” which means you actually ended up doing a lot of extra work – but you want the product to be consistent. You want it to be consistently written. You want it to have consistent ideas throughout. And so there’s extra work, but honestly it gave me the ability to kind of control the outcome a little bit better. And I think people, luckily, would trust me that I was going to do a good job at it. And so I think that probably manifested itself in me being considered kind of driven. Feloni: Could you explain this meeting tactic that you have called, was it “lightbulb versus mandate“? Friedman: Yeah, and it was actually Brad our CIO’s idea to bring that into the room, because the former style within Nasdaq was very much a command-and-control style, which meant that the leader, once they said something it happened, right? And so it was before I became CEO, and I started realising that every time I said something, everything just happened, even if it was just an idea, right? So a lightbulb, it’s just running an idea on the table – let’s debate it, discuss it, let’s get other opinions in the room. Just, in a way, kind of think of me as a peer in the room, all thinking together. But then in those times it becomes a mandate, meaning, “OK, it’s decision time” – or there are certain things where I just say, “Look, we have to do it this way,” then I say, “This is a mandate.” And I use that pretty rarely. But it’s an important moment when either we’ve all coalesced around a decision and we made a mandate, or there are certain things that I just feel like have to be done a certain way. But most of the time you kind of bring these lightbulbs into the room and you hopefully come to a better decision as a result. Feloni: Do you think that that’s changed your relationship with your employees? Friedman: I do think that it makes it so it’s a more open environment. So there’s a collaboration element to it, and that’s the lightbulb phase, and then there’s the command element to it, meaning, “OK, now it’s time to act. Let’s go the road. Let’s make decisions based on facts, based on analysis.” But once the decision is made, we all have to march down the road the right way. Feloni: So you went to an all-girls school until college. How did that prepare you for the world that you’re in now? Friedman: Well, definitely an all-girls environment for me – and it’s different for everyone – it certainly gave me an enormous amount of confidence to stand up for myself, to voice my opinion, to ask questions. I was named the most inquisitive in my high school, which, I’m not so sure it was actually a compliment, but it was something where I never felt at all hesitant to ask questions in class. And then I got to college, and I was always the first one to raise my hand or whatever. I was always asking questions, and I realised that in many cases I was actually the only girl in the class asking questions. Feloni: Even today you’re looking at its influence? Feloni: Yeah, it’s funny – I went to an all-boys school, and it was just, like, incredibly competitive. And I think that that’s probably carried over with me, yeah. Friedman: Yeah. And my brother went to an all-boys school, and it was incredibly competitive. I mean, the girls’ school is pretty darn competitive too, but it still was competitive in the sphere of, you know, you always were kind of stacking yourself up against other girls, which I think is an important part of it too. I also really loved maths and science – and the maths in particular, I really did love maths – and I feel like that was probably an area where I particularly excelled because that was an all-girls atmosphere. Friedman: I would have to say I wasn’t surprised, because it is new. I also was very clear that I don’t really want to be remembered as a woman CEO; I want to be remembered as a great CEO, and I’m hoping that I’ll be able to prove myself as someone who warrants that legacy. So it wasn’t something that I tried to focus on, but it was kind of inevitable. I think also what I really underestimated was the impact it had on some of the younger woman inside of Nasdaq and younger woman in the industry. So when I go out and talk to people now, I have younger women come up and tell me how important that was for them to see that there’s a path all the way to the top. And I just didn’t realise that was – I didn’t understand that going into the role that that was going to be part of what this meant to the community around me. And it makes me really proud, and also humbled, frankly. Feloni: There have been some things that you’ve embraced like the Parity Pledge at Nasdaq – could you explain what that is? Friedman: There was an organisation called the Parity Pledge, which is a nonprofit organisation that looked at the Rooney Rule in football. But in this case, what they were asking for is for companies to sign up and say, “I’m willing to interview one female candidate for every role at the VP level or above.” And frankly, believe it or not, that’s just not the standard practice today. Recruiting firms that you work with don’t always provide you those candidates, especially if you don’t ask outright. And internally, you also realise that as you go up the chain, you’re finding that it’s not as straightforward as you’d think it would be. So I asked our leadership team, I said, “Look, we’re not just going to do this willy-nilly. Is everyone ready to commit to this?” And they all said yes. And in fact we did have a recruiting going on at that time, and we didn’t have any women candidates. We added a woman, and we chose her because she honestly was by far the best candidate. So it does make you realise that if you force that into the interviewing process, it allows you to open your mind, and it allows you to open up to probably some really great candidates that you didn’t realise. Friedman: You do want to make sure that you have a diverse organisation, because frankly I think there’s tons of evidence out there that says that it will be ultimately a better-performing organisation. And if you recognise that up front, then all you have to do is create those practices that make it so that it perpetuates itself. And so now we have some amazing women leaders – particularly in our tech organisation – that then open it up to other women realising this would be a good place to work, because they can see women in leadership and these roles. And so it frankly has an effect all the way down the organisation. Feloni: And in terms of taking the CEO role: So you were a CFO, you were a COO – when you took the role of CEO, how did that feel different? What was your first day like? Friedman: Well, the first thing I would say is Bob Greifeld, the former CEO, did a spectacular job of transitioning the role. And I really would say it’s like a textbook of how to do it well, because we were together for three years as president and then COO, and we worked very closely together to give me the autonomy that I needed to be successful in my role but also prepare me for the next role. He also allowed me to make some leadership changes in the organisation in those years so that by the time I became CEO I didn’t suddenly have to make a lot of decisions at the leadership level – in fact, I had a team. Friedman: It was a very good transition phase. So that first day was a big day, but it wasn’t a day where I suddenly had to make a bunch of changes on Day One; I walked right into the role. The difference really is how you manage your time. There are just so many pulls on your time when you become the CEO, because not only do you have the businesses in your clients, which really is where you focus when you’re the COO or president, but you have the investors, and you have Washington or government organisations, and other stakeholders, and then you have the media – and you have just a lot of other constituents that you have to start to manage, and so it means that you have to really focus a lot on time management. So that’s probably the biggest change of becoming CEO. Friedman: Yeah. We do succession planning every year, and that’s frankly a very important aspect of the board. So we presented to the board every year, and we think a lot about succession planning as part of the hiring decisions, as we think about development plans, as we do development training for people, and it’s very much part of the conversation. And it’s not just a once-a-year exercise – I actually have those conversations throughout the year with our key leaders. But they always are thinking that way because they have to make sure that, you know, this company is bigger than one person. So you have to make sure that you’re always thinking about how do you create a sustainable organisation for yourself. Friedman: He definitely came into the organisation at a critical juncture where it was kind of having an identity crisis in terms of it being a very important equities market in the United States but going through a lot of regulatory change that it hadn’t been able to acclimate well to. He turned it into a very functional and very successful equities market, and then he was able to grow it to being multi-asset-class and multinational, and then looking at technology as our core differentiator and taking that and getting the market tech business into a state where we really are a differentiated supplier. So he did a spectacular job. I think my job now is to take all that strength – because he really handed over a company that is in a very strong position – but find new ways to grow and expand our business with technology being our core. Feloni: A topic that’s always being talked about in markets now is cryptocurrency and crypto exchanges with Nasdaq. I mean, like, you’ve provided some technology to crypto exchanges like Gemini, but you’ve still kind of hedged involvement there. The New York Stock Exchange’s parent company is building a crypto-trading platform – their parent company, ICE, they’re working on a trading platform for bitcoin specifically [this was launched on Aug. 3]. And with that, is there any danger that Nasdaq would fall behind on that? Friedman: So we’ve made a conscious decision to serve as a technology partner to the crypto markets that exist today – to help new crypto markets form and evolve through our technology, as well as to make it so that they really start to focus on surveillance and monitoring their markets to make sure that it’s a fair environment. So our technology, our smart-surveillance technology, is being used by more than one exchange, including Gemini. And our market technology, our trading and clearing technologies, are being used by multiple exchanges as well in the crypto space. And that’s been our first effort, to make sure that we’re serving the market appropriately with our technology. The decision for Nasdaq to become a market itself, our view is that being the first mover is not necessarily the role that we want to play. So we’ve made a conscious decision not to be a first mover in that market. We have been evaluating the potential to launch a future, but we really want to make sure that if we do it that it’s based on exchanges where the price formation of those exchanges can be relied upon, and, therefore, they’re well surveilled, and they have got reliable technology. So those are some of the things that we’ve considered as we start to consider whether or not to launch an index with the future. The second is looking more holistically at becoming an exchange itself. And I would say that the markets today are in a very early stage. I think that it’s not a regulated environment. And so today Nasdaq believes that we’re better served by being a technology provider to the exchanges than by trying to launch one ourselves. Feloni: OK, yeah. So former New York Stock Exchange President Tom Farley, who served from 2013 to this past May, he was recently saying that Nasdaq, which has built a reputation as an exchange for tech companies – you have Apple, Facebook, Google – he was arguing that, “Oh, Nasdaq, they have outlived that. It’s not true anymore,” and it would drive him crazy to hear that. How do you reply to him? Friedman: Well, first of all, I actually agree that we are a much more diversified market than just a technology market. So I was actually pleased to see him say that we’re a much more evolved market than tech. Last year, Pepsi switched from the New York Stock Exchange to Nasdaq after 100 years of listing on the New York Stock Exchange, and they did that because we’re not just a technology exchange – we actually are an exchange where innovators of all types come, and they want to be a part of an ecosystem that supports that innovation and that ability to continue to drive to the future. But our heritage in tech is something that we will always be thrilled to have. Feloni: On that note, he was saying that when he was running the New York Stock Exchange, he saw its relationship with Nasdaq like the Hatfields and McCoys, like there was like some blood feud that he was cognisant of every day – he had respect, but there was a bitter rivalry that he had to go out and attack. How do you see it? Friedman: I mean, certainly it’s a very competitive situation, and every company has the option to choose one exchange or another, and it is every week that we do compete for every IPO. But we tend to really focus on all of the things that we need to do to make it a great experience for our listed companies, and at the end of the day, that’s what’s going to make us win, not so much looking at the person next door. Feloni: Yeah. So on a separate note – but kind of related, in terms of competition – you’re a black belt in taekwondo. How did you get into that? Friedman: Well, I got into it because my kids were into it, and then my husband started doing it, and I sat there and I was watching the classes, thinking, “Why am I sitting here watching? Why don’t I go do it too?” And so we all started doing taekwondo. I really like it because it teaches self-reliance. It’s not looking at your neighbour and deciding whether you’re better than them. It’s all about looking at yourself and being the best that you can be. And to me, I just think those are life lessons that I’m really happy that my kids have heard and gotten instilled in them. But I would also argue that it’s very relevant in business too. Friedman: So you’re focusing on yourself and being your best self, and usually that means you’re serving your customer. And if you’re focusing on your mission, and you’re dedicated to achieving that mission, and that mission is client-oriented, then you will have success. And it doesn’t really matter what those companies next to you are doing as long as you know that you’ve got the right focus and the right execution and the right relationships with your customers. And I think that we are really evolving to this client-oriented company that makes sure that we’re thinking about our clients’ needs today and over the next 10 years, like how are they going to change? And if we can stay focused on that and not necessarily get too wrapped up in the competitive landscape, I think we can be our best self. And I think those are the types of lessons that I have to say I have learned in taekwondo. Friedman: I think that’s right. So I really like that. It’s a black-belt mentality for sure. Feloni: What would you say has been the biggest challenge that you’ve overcome? Friedman: I think that making sure that you don’t hold yourself back. So there was a moment, and it was really when the kids were young, where there is an easier road to take than being a working mother. However, I think that, frankly, at the end of the day, I’m a better mother from the fact that I did work. My husband and I, I should say together, were able to find the right balance. My children have relationships with both of us that are deep and important and definitely sustainable. And so both of those people were really, really important to me in getting me through those really challenging years where you could decide that it’s just too much. Beyond that, once I was able to get through that and my husband and I found a great balance together, it’s been a pretty smooth process from there. Friedman: Well, I always look at home first, right? So to me, having a family – a happy family, well-adjusted kids, kids that are ready to face their own challenges in life and that are ready for any next step that comes their way – to me is the most important thing that any person can do. Then I look at my profession, and I say, “Well, have I achieved everything that I could have achieved with the skills that I have? Have I brought my best self to the job every single day, and do I treat every day as Day One?” Because that to me is the most important thing that I can do for the success of the company. And so those are the things I ask myself frankly every day to make sure that I’m bringing my best self to my role every day. Feloni: Yeah. So it’s trying to imagine that first day every day? Friedman: It is, because I’ve always said that complacency is the killer of every great company, and the only way to overcome complacency is always to wake up every day saying, “What am I going to do to further the success of this company today?” Not next week or next month, but today. And if everyone in the company wakes up every day and says, “What am I going to do? What am I going to bring to the table that makes this company even more successful today?” it makes it so that you’ve got the company that is always looking for change, they’re always listening to their customers, they’re always finding new ways to do things, and they’re always innovating. And that is, at the end of the day, what’s going to be successful. That’s what’s going to drive Nasdaq’s success. Friedman: Well, the first thing is: take those opportunities when they’re given to you, because oftentimes they are offered up and it’s a matter of you realising that even if it feels overwhelming, as I just talked about a minute ago, you can do it. And think about how to say yes as opposed to why say no. So I think that if you say yes to your opportunities early on in your career, and you think about also having some level of goals as you go through your career – they can change, but at least always looking forward and saying, “What would I want to do next?” – that it really helps drive you, and it helps keep you focused, but it also opens you up to opportunities that you may not have realised were there.